This was on my to-read shelf since 2009. It was one of those books that I always wanted to read, but I just never really found it anywhere. Until it cropped up at the library. After probably 5 years of neglecting it, I had to read it. For her entire life, Meridian has been surrounded by death. Insects, mice, and toads (among other creatures) would find their way to Meridian’s bed at night and die by her side before morning came. She’s been a freak ever since her classmates noticed death following her like a faithful dog. On her 16th birthday, a car crash occurs right in front of her and her body explodes in pain even though she wasn’t hurt. She’s quickly hustled away to Colorado to live with an old aunt who tells Meridian she’s a Fenestra–a half human, half angel meant to usher souls on to the next life. Of course, a dark sect of Fenestra known as the Aternocti are determined to turn Meridian dark or kill her. With the help of her protector, Tens, Meridian is going to find a way to survive…if she can. It took me a long time to decide what I wanted to rate this book. Let me see if I can show you why I struggled. I thought the premise was really cool and original. Sure, I’ve read angel stories before. I’ve read stories where souls were helped into the next life. But there was something about this that felt really different. I think part of it was because Meridian was actually, you know, alive while helping souls. A lot of stories have legit angels, reapers, or something else already dead/never alive helping souls. So that was a nice change. The characters were also worth the read. Meridian has never fit in anywhere, which is understandable when she constantly has dying animals finding her and dying at her feet. Creepy, right? But even though some people treated her horribly, she really seemed to have a kind heart. Tens certainly lived up to his duty as a protector. I thought he was very sweet while still being tough when he needed to be. But Auntie was probably my favorite. While physically unable to harm a fly, I’m pretty sure this woman could scare the sin out of the devil if she wanted to. I loved that. Now, here’s what wasn’t so great. There’s a plot line involving a Reverend who may not be what he seems. And he brings a lot of religious lines to the story. I wouldn’t necessarily have had a problem with that except that that plot line seemed to take away from the story. Meridian is completely lost in trying to figure out what she can do and who she’s supposed to be now to deal with the Reverend. It was too much for the story to handle effectively. And the romance, if you can call it that. While there was definitely a connection between the two characters, I did not feel love blossom in the sunshine of their affection. It was actually about as corny as my last sentence was. Really, it just seemed to come out of nowhere. Like the story needed to have a love story for some reason and it was forced upon them. I actually would have preferred the story if that wasn’t there at all, if it was building up to it in later books. Overall, I thought it had a good premise. It was interesting and unique enough to keep me reading for long periods at a time. The characters were really great too, but I could have done without the romance. Definitely some room for improvement. First Lines: On Tuesday I was in a band with Elvis. One good thing about going to different libraries in the same system (as mine is large enough to do) is that the libraries have different books. Jennifer Echols is virtually nonexistent at my local library. So I was stoked to find this at a bigger library. Bailey used to be a good girl, playing fiddle in a bluegrass/country band with her sister Julie. But after the record execs swooped in to take Julie and left Bailey behind, Bailey’s been rebelling. What’s worse is that the record execs tell Bailey that she can’t play anymore or it might ruin Julie’s career. What’s Bailey to do? Fiddle is her life. Fed up with her antics, her parents ship her to her grandpa’s house in Nashville, where she gets a job playing in washed-up tribute groups in the mall. That’s where Bailey meets Sam, the charming guitar player who also has his own band. And Bailey is just the person his band needs to make it big. But is Bailey ready to risk everything to try to reach her dreams again? First of all, I was incredibly excited about this because it was about country music, which is what I have listened to faithfully since I was little. I am so thrilled that I knew many of the landmarks, songs, singers, and events (like the CMA Festival) that this story mentioned. So country is what brought me to the story. And I stayed for Bailey. I quickly started liking her, even though she’s a little abrasive and definitely has an attitude. But I couldn’t blame her for the attitude after seeing how her family treated her. Once Julie got her record deal, Bailey was dropped like a hot rock, no longer within her parents’ realm of awareness. I felt really bad for her and I kept reading because I wanted to see her win at something. I liked that this book seemed to have a sense of humor about the negative side of the music business. I’ve always heard that an artist has to pay their dues to make it big, playing in bars and such. But Bailey’s paying her dues in really bad tribute bands that set up by Bath and Body Works. Which was so sad it was funny, really. It was cringe-worthy while still being touching. I really liked the way the band was portrayed. Every character had their own distinct personality and they stuck to it. Sam, for example, has a bad habit of saying innuendos without realizing how they sound. That was funny and actually endearing because Sam was usually so clueless about it. The one thing I had an issue with was the timeline of the story. It was just too quick. For everything, but especially the romance. The story takes place over the course of a week, two tops. It was too fast to be believable, at least for me. I really liked the story, but whenever I considered the timeline, I started feeling a little funny about it all. Overall, though, I thought it was a very cute story about family, love, and dreams. The characters were great and there was a good deal of humor as well. First Lines: “Edgar?” Speaking softly, Dr. Moran leaned over his patient. His eyes traced the wan and pallid countenance of the famous poet, Edgar Poe. 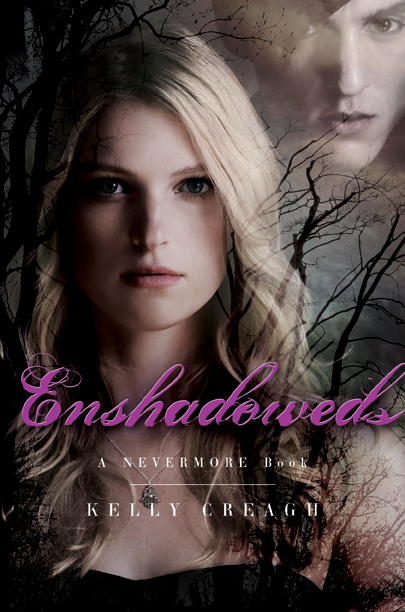 This was a book I had moved to my unofficial top 20 to-read on Goodreads simply because it had been three years since I read Nevermore. I wanted to catch back up. Besides, a creepy read from time to time can be fun. Varen is trapped in a dream world where Edgar Allan Poe’s nightmarish stories come to life. Isobel is the only one who knows enough to be able to save him. But plagued by strange visions and unending nightmares, it’s not going to be easy. Isobel knows her only hope lies with the Poe Toaster, a mysterious figure who leaves roses and brandy on Poe’s grave for Poe’s birthday. Only the Poe Toaster can create the veil between the realms, and Isobel is determined to cross it with him. But on the other side, danger looms. An ancient evil challenges Isobel for Varen’s affections. And Varen isn’t the same boy she left behind. Could it be he’s just as dangerous as the dreamland? Now, I love Poe and the mystery that surrounds him. It’s terribly fitting. And I stayed up half the night to finish the first book. But this one…this one just didn’t do it for me. I felt like the story was angsty for the sake of angst. Everything felt like it was drama cranked up to 10, even though it was maybe just another cheerleader instead of a life-or-death situation. Every few chapters, I almost felt like I needed to detox and get the negative feelings out of my system before I could go back. And I was really disappointed that Varen didn’t make much of an appearance in the story at all. I could probably count on two hands the number of scenes he was in. I know he’s stuck in another realm, but I sometimes like him more than I like Isobel. Being stuck with her the whole time wasn’t what I was expecting. That also impacted the basis of the story for me. It’s supposed to be something of a romantic suspense/paranormal thriller, but I was not feeling the love. This book picks up about 2 months after the last book, and Isobel’s obsession with finding Varen felt creepy rather than loving. I wish I could explain this more. It felt like Isobel was obsessed with Varen rather than being in love with him. I admit, part of the reason could be because it’s been 3 years since I read the first book, but I did do some skimming to get back into the story. But that connection between Isobel and Varen was just not there for me. There were some good aspects about this book, of course. It plays with the idea of reality a lot. Sometimes, Isobel and Varen don’t know what’s real and what’s a trick/nightmare. So I enjoyed when it messed with us that way. It added some real suspense and thrill to the story. Also, I really liked the character Gwen. She was more or less the comic relief for the story. And I needed it. But she was really just making me laugh when I needed it. Overall, I truly wish it had been better. There was just too much angst and too little happening. It’s been a really long time since I’ve done a movie review! I really want to get back into doing those, but sometimes just keeping up with book reviews is hard enough. 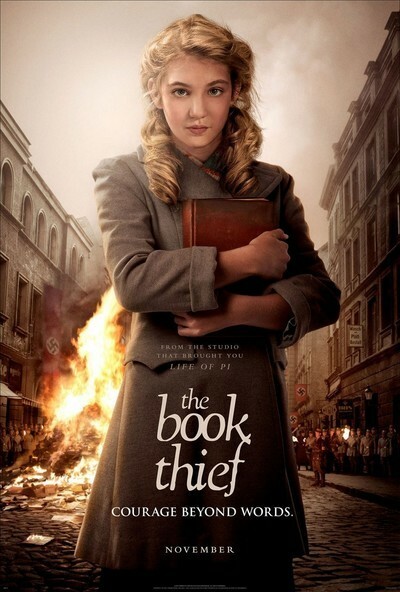 But I just had to do one for The Book Thief, which is a beautiful book. I wanted to see how the movie compared. For those of you who are unfamiliar with the book and the movie, I’ll give you a quick summary. It’s 1938, Germany, and Liesel Meminger’s brother has just died. As he’s being buried, Liesel steals her first book, The Gravediggers Handbook. Dropped at the door of a new foster family, Liesel has to start life without her brother or her mother. Her new mama, Rosa, is a rude but caring woman, and Papa, Hans, is a kind-hearted man who slowly worms his way into Liesel’s heart. In her new home, Liesel learns to read with the help of Papa and the handbook she stole. But life is about to get a lot more complicated when a new war begins and a Jew shows up on their front steps looking for refuge. I thought this was a really good adaptation. Obviously, some things were changed from the book. I was able to pick out a few as I watched, but it didn’t necessarily bother me. The essence of the story was the same and what they took out wasn’t really all that big for the plot. It was little details that were changed or slightly larger things that the movie just didn’t have time to cover. It’s 2 hours and 11 minutes long. Give it a little slack. The acting was pretty good as well. The kids, Liesel and Rudy, felt like real kids. They were convincing. But the best actor (as he usually is) is Geoffrey Rush, who played Papa. I have such an uncle-crush on him. (As in, I wish he was my honorary uncle. Victor Garber and Gary Oldman also have this distinction.) He played Papa so well. You always knew what Papa was feeling. It was so charming. I also really liked Max, the Jew looking for refuge. There was something innocent and jaded about him. He’s always been one of my favorite characters from this story, but this just helped solidify it. Now I don’t know if this was intentional or not, but he didn’t have as thick of a German accent as the rest of the characters did. Which leads to my next point. German and German accents were prevalent throughout the whole movie. Which was cool. I don’t hear a lot of German…like ever. And I almost never hear a German accent while characters are speaking English. I didn’t realize how hard that accent is to copy! And it was a little strange. “Rudy” sometimes sounded like “Woody.” But it added a level of authenticity to the story. And, of course, Death as the narrator is still so clever. As morbid as it is, I really like it. What doesn’t Death see? Death sees everything. He narrates the story well, though it’s not as present as I thought it would be. He mostly just shows up in the beginning, a little in the middle, and again at the end. That’s it. I should warn you that this is going to make you cry. If the book made you cry (like it did me), then this will do it too. First Lines: It was late January, and New England wore a fresh coat of snow as I stepped along the gangplank to the shore. I won this ARC in a Goodreads giveaway, and I was super excited to read it. (Note: The book is set to come out officially in mid-September.) The back of the book says it’s “Doctor Who meets Sherlock“, and while I haven’t gotten into Doctor Who, I am a big Sherlock fan. I had to read this. Let me see if I can get my thoughts in order well enough to tell you what I thought about this without spoiling anything. R.F. 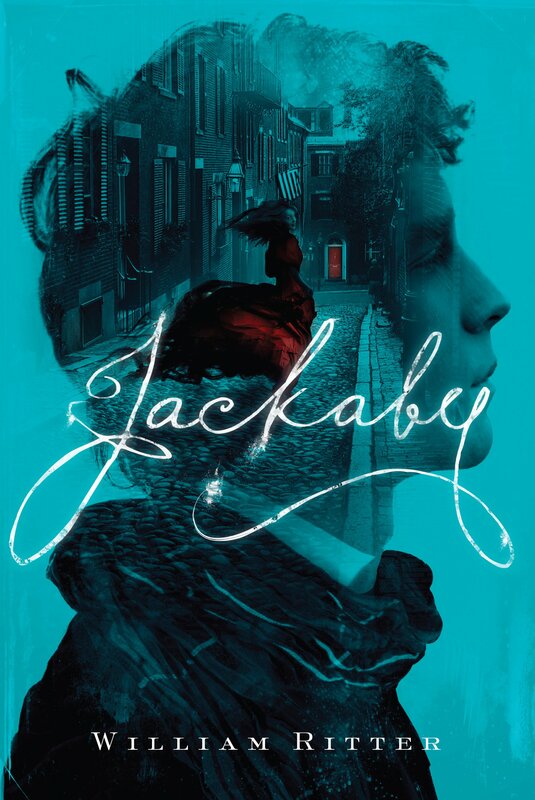 Jackaby is, for all intents and purposes, Sherlock. He is condescending and intellectually superior (or so he truly thinks), yet he still has a kind heart and cares about those he’s close to. I loved that. Ritter hit the nail on the head when he wrote Jackaby. He’s funny and smart and kind while still being incredibly weird. The fact that he solves paranormal mysteries makes him that much weirder than Sherlock Holmes. You have no idea some of the things he has in his house. I thought the paranormal in the story was really well done. There wasn’t a whole lot of it in the story, but there was definitely enough of it. Well, a lot of the time, it’s just when Jackaby references different paranormal things he’s seen. But a lot of quite humorous paranormal does make its way into the story. I wish I could tell you about it. I think the main part of this story was that it is a mystery. Unfortunately, the mystery was actually incredibly obvious (at least to me) as to who the “villain” was. I kid you not, the moment that character came into the story, I knew it was him/her. It was that obvious. But while I knew how the mystery was going to end, there were still some things about the mystery that surprised me. The “red herring” for example did throw me off my game for a few pages. Now, this part is probably just me, but I could not stop thinking about it. This story is written by a man, and our main character is a female. Totally fine. Happens all the time (TFIOS by John Green, for example). But…Abigail goes into extreme detail sometimes about the dresses she wears. The petticoats and lace and layers. And I just could not stop thinking about how this male writer knew more about 19th century women’s attire better than I did. I didn’t really know how to take that. 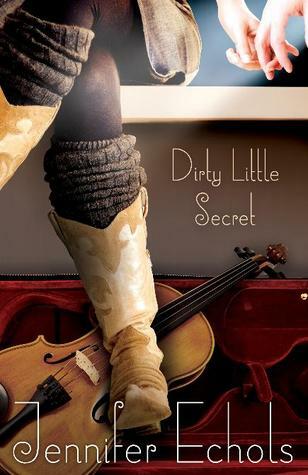 Overall, I thought this story was a really funny and heartfelt mystery. The writing in it is really good and the story has so many levels to it, even if the mystery was a bit obvious. I’m actually a bit peeved that this appears to (for now) be a standalone novel. I want more! First Lines: Of all the people who knew about the big house in the middle of Wyndham Woods, very few had ever been inside. For over a century, the owners had been importing their chefs from France, their butlers from England. This is another series I sort of fell off the bandwagon for. It’s not that I didn’t want to keep up with it, but it just got pushed to the back burner. I forgot about it. But when I saw it in the library, I had to pick it up. Kat and W.W. Hale the Fifth come from completely different backgrounds. Kat is part of a family that takes great pride in their criminal mastermind abilities. Hale is part of an industrial dynasty that is disgustingly rich. No matter what, Kat can count of her family for anything while the Hales only seem to understand the language of money and backstabbing. After Hale inherits his grandmother’s billion dollar business, he finds that Kat doesn’t fit into his world anymore. But Kat isn’t ready to let Hale go, especially after she gets a tip that the grandmother’s will has been changed in an attempt to steal the company. Kat will have to come up with an extraordinary plan to help Hale, but what if saving the company means losing Hale for good? As usual, Ally Carter has created a book that is sheer genius. This book had just about everything you could want in a book here. Excitement, emotion, suspense, mystery, action. And it’s always unpredictable. Just when you think you know, you don’t. I’m still impressed it can pull the wool over my eyes. I really liked how this added depth to Kat’s character. She really grew a lot in this book. Part of it was because she was completely outside of her comfort zone. And she was somewhat desperate to protect Hale. She was very emotionally connected to this, which isn’t like her. It was fun to see how she responded to that. The minor characters actually made quite a big showing here as well. Fantastic characters all around, minor or main. But I really think that some of the minor characters surprised Kat. And again, that was fun. I thought the premise of this book was really interesting. And maybe realistic? I don’t know much about the corporate business world, but I could see someone trying this if they were desperate and, you know, evil. It was totally exciting, though. These books are never formulaic, and I have no idea how Carter pulls that off. Just when you think the next book is going to be like the one before it, it goes in a completely different direction. No two heists are the same. Overall, it was very fast-paced with lots of excitement and surprises. I loved it. The only bad part is that there are currently no plans for another book in this series. Carter hopes to write one, but nothing has been settled yet. First Lines: “Megan, we need to talk.” Megan Meade swallowed a mouthful of root beer and let the bendy straw fall from her lips. Her heart dropped with it. This was another book I picked up at a book sale. While I’d never heard of it before, it looked like it might be something I (or my students) would like. I’d never read anything by Kate Brian before, so I was willing to give it a shot. Besides, it looked like something I could easily read at the lake, which was where I was headed when I started it. As an army brat, Megan is used to moving around a lot. But she puts her foot down when, just before her junior year, her parents are transferred to Korea. Finish out high school in another country? Don’t think so. So Megan is sent to live with the McGowan’s, family friends who have 7 sons. Seven. Megan doesn’t even know how to talk to one without tripping over words. Determined to make the best of things, she decides this is the perfect opportunity to observe boy behavior and learn what she can about them. Maybe boys aren’t as alien as she thought they were. Obviously, this was pretty much a fluff read, but that doesn’t mean it wasn’t good. It was actually perfect for my lakeside read because it was fast and I didn’t have to over-think anything when I was interrupted and had to find my place again. I found myself really liking Megan. A lot. She’s a very tomboyish heroine, which I tend to favor because that feels like me. I can’t stand heroines who are obsessed with being popular and backstabbing their friends. (It’s part of the reason I just cannot stand Mean Girls.) Anyway, I really related to Megan and liked watching her deal with the boys and high school. However, there was a weird…glitch?…in Megan’s character. Megan is clearly a tomboy in the story. She hates make-up and the color pink among other girly things. But she completely lacks the ability to talk to and deal with boys. Personally, I have never met a tomboy who was unable to talk to boys. It almost feels like a defining characteristic of tomboys that they have more male friends than female. (These are my own observations, so they are obviously skewed by who I know.) I’m definitely not saying it’s not possible, but it was a little distracting to me as I read. But it was funny. I thought some of the observations about boys were really true and somewhat funny. I have three brothers and I grew up with almost all of my cousins being boys too. So these weren’t exactly new revelations to me, but it was fun to see them all written down. I liked trying to find family that fit the descriptions. I will say, however, that some of the characters felt really stereotypical. Particularly the “villain” of the story, but the brothers suffered from it too. For the brothers all being really close, they each seemed to fit into entirely different cliques. The jock, the artist, the gangsta, the musician, etc. My brothers and I are pretty different, but we wouldn’t have been that different. It felt like each boy was purposefully given a stereotypical identity just to see what happens and how they interact. Overall, I found it to be a really cute read. It was fast and funny. But there were some things that distracted me as I read.